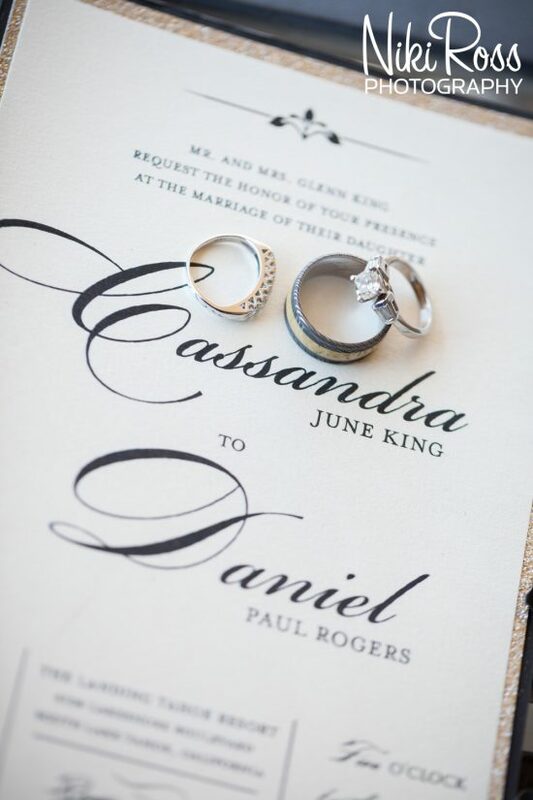 Working with Cassandra + Daniel on their wedding invitation and day of stationery was so fun. Their classic black and champagne color palette was a perfect match for the wedding at the Landing Resort in Lake Tahoe. 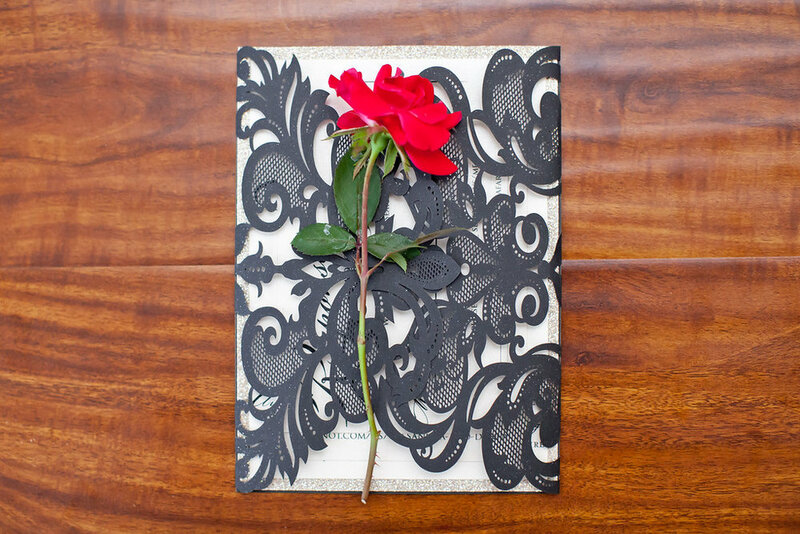 They selected a black shimmer laser cut pocket with a cream shimmer linen cardstock for their actual invitation. We were fortunate enough to also create some fun reception stationery as well with signage.